Your security system is only worthwhile if you can actually see the person stealing from you. 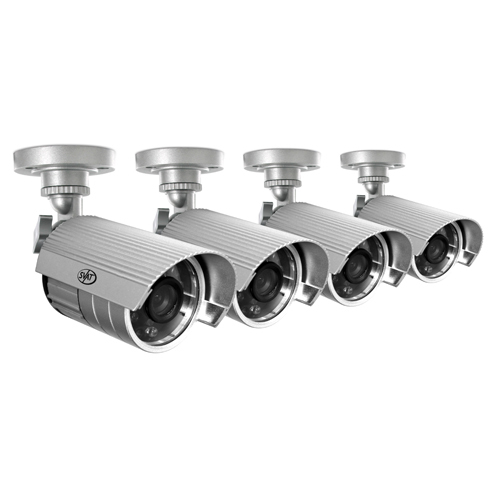 SVAT® cameras are equipped with 480 TV lines of resolution. The resulting clear, crisp and accurate video feed will help put the criminal away. The things that go bump in the night are sometimes a thief making off with your big-screen TV. SVAT® cameras are equipped with night vision that automatically activates. Twenty-four infrared ClearVu® LEDs provide crisp and detailed night imagery as you monitor from up to 75 feet away, even in complete darkness. So thieves may think they’re lurking in the dark but you can rest assured SVAT® will see them.